Homeowners are becoming increasingly eco-conscious, and for good reason. Climate change is real and we’re already starting to experience its effects. This means that it has never been more important to reduce your carbon footprint. But exactly how do you go about it? There’s many ways, including recycling, public transport, walking, carpooling and turning off lights. If you’re renovating or building, you may also want to look for eco-friendly materials. One of these is uPVC – a great choice of material for the windows and doors in your home. A product usually earns or loses its eco-friendly credibility in the manufacturing process. You see, some products require a lot of energy to produce, and this directly related to the amount of carbon released into the atmosphere. For example, aluminium profiles require seven times the energy to produce when compared to uPVC. Not only does uPVC require far less energy to manufacture, but it also continues to have benefits once it’s been made. Another thing that makes uPVC windows and doors in Sydney eco-friendly is the fact that the material is completely recyclable. If you ever choose to renovate or build, you’ll be able to recycle your window and door frames. This means that they don’t have to get manufactured again – saving you money and also saving the environment! Timber window and door frames need wood. Wood means trees get cut down. Trees literally clean the air that we breathe, with the photosynthesis process turning carbon monoxide into oxygen. Every tree that gets cut down for a household product is contributing to global warming. By avoiding timber products in favour of uPVC, you’re directly reducing your own carbon footprint and helping the planet. The burning of fossil fuels generates the majority of electricity in Australia, and this creates tonnes of greenhouse gases. Having an effectively insulated home means that you will need to heat it less in winter, and cool it less in summer. This means less money spent on power, which is a positive step towards becoming a sustainable household. 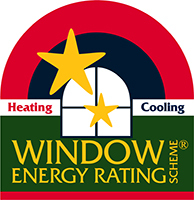 uPVC provides highly effective insulation and actually exceeds current energy ratings. As well as reducing your carbon footprint, you’ll also be saving much-needed cash on your power bills. Unlike timber or aluminium frames, uPVC requires no maintenance. This means that you won’t have to buy products to treat, stain or clean them. The manufacturing of cleaning products has an environmental impact. When you don’t need to clean your uPVC, you can put your money towards more sustainable products. Aiming for a Greener Household? Are you concerned about your carbon footprint? Would you like to make your next renovation or build an eco-friendly one? Have a chat to one of the professional staff here at Mint Windows and Doors. We’re more than happy to point you in the right direction, and help to make your home greener.